Water is necessary for life, but it can also be destructive. "Women's Water" will dive into all of water's aspects during this poetry/performance event. "Women's Water" is not put on by a specific group. It's friends going on stage sharing their poetry/gifts — going with the flow, as it were. Among those participating are Bria Brown, Jasmine Settles, Akina Morrow, MadameFraankie, and Rheannan Watson. Settles says water signifies birth, renewal, and cleansing. The link between women and water is strong. Settles points to women carrying life as the biggest example. "Women's Water" will be divided into three phases: drought, flood, and dance. The drought section will denote a "lack thereof," Settles says. It will take a look at when people don't have the basic necessities. Flood will cover the feeling of drowning, when life becomes too much. Dance will be about how we move through the phases. And while one of the phases is titled "Dance," the only dancing during "Women's Water" will be symbolic. "It's how we move through life," Settles explains. Settles says there will be some heavy topics touched on, like Hurricane Katrina and the Flint Water Crisis. And, of course, the Mississippi River will make an appearance. "Yeah," Settles says, "we mention the Mississippi often." 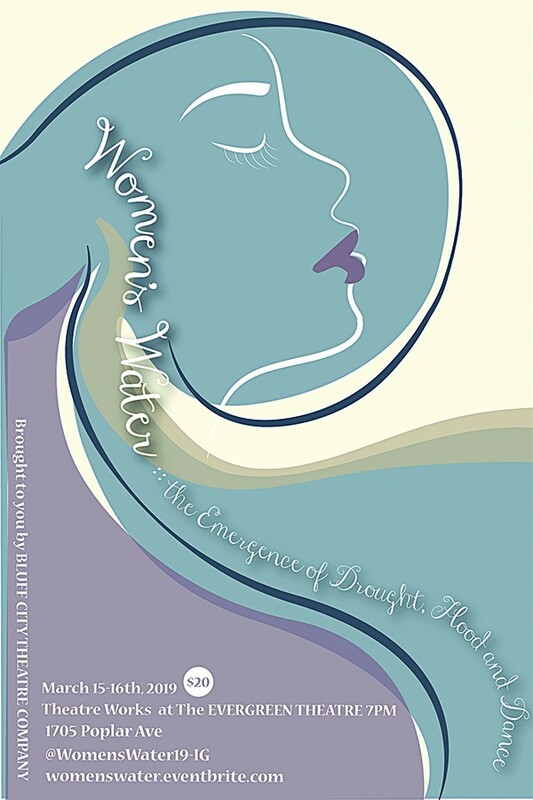 "Women's Water: the Emergence of Drought, Flood, and Dance" at Evergreen Theatre Friday and Saturday, March 15th-16th, 7 p.m.